American Cruise Lines announced the name of its brand new 140 passenger Mississippi sternwheeler – Queen of the Mississippi – currently under construction and two months ahead of schedule at Chesapeake Shipbuilding Corp. in Salisbury, MD. 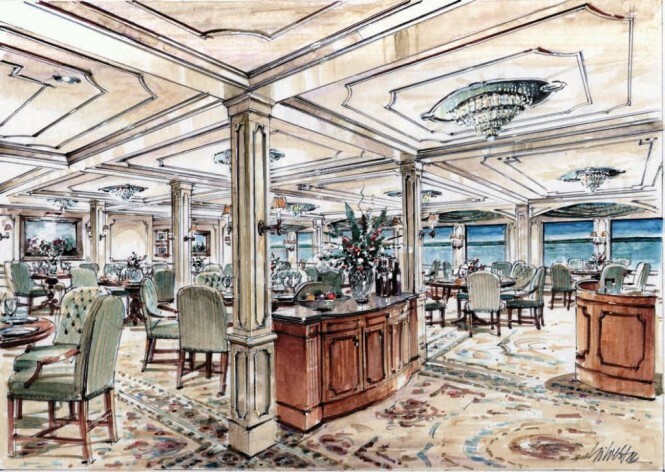 American Cruise Lines has also unveiled the first renderings of the ship’s interior, including those of the future dining salon, Paddlewheel Lounge and passenger staterooms. 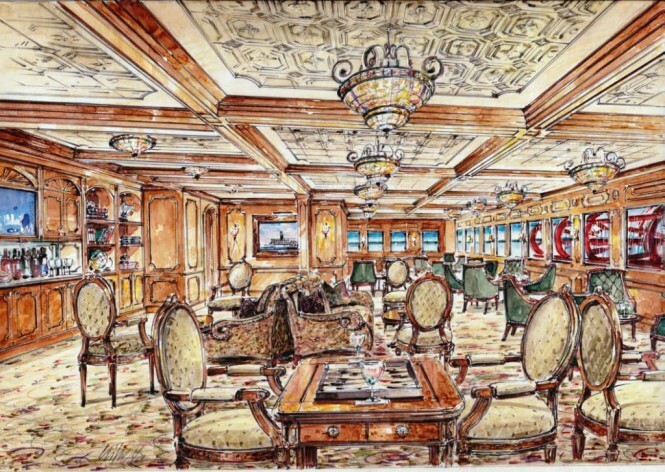 As depicted in the renderings, the spacious dining salon will have the capacity to generously seat all passengers and will be complete with crystal chandeliers and fine works of art that will far surpass the ambiance of past riverboats. The Paddlewheel Lounge, featuring rich wood and comfortable furnishings, will offer panoramic views of the passing scenery and the large red paddlewheel at the stern. Fine décor and a tasteful interior color scheme will cover every inch of the ship – from the elevators to the dining salon to the passenger staterooms – capturing the tradition of the grand riverboats that graced the Mississippi all the way back to the 1800s. The onboard atmosphere, when combined with live entertainment, exceptional cuisine, and highly attentive and personalized service, will truly raise the bar in riverboat cruising. 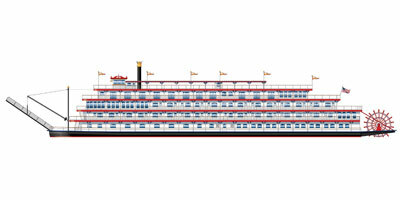 The first brand new overnight sternwheeler built for the Mississippi in nearly 20 years, Queen of the Mississippi will be the grandest ever with oversized staterooms larger than those of all former Mississippi riverboats. 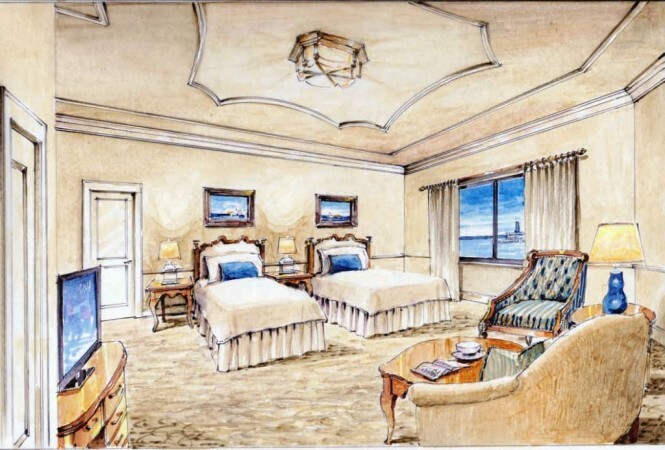 Staterooms will feature spacious private balconies and all of the amenities today’s travellers expect. American Cruise Lines will operate the sternwheeler over the entire Mississippi River System, with the option of cruising at significantly higher speeds to make more itineraries possible with longer visits to the many river towns. A number of unique seven-night cruises are planned that take passengers as far as St. Paul, MN on the Mississippi River and Pittsburgh, PA on the Ohio River. American Cruise Lines operates the newest fleet of small ships in the industry and offers more than 20 unique itineraries along the inland waterways and rivers of the Pacific Northwest, the Mississippi River System and East Coast of the United States. 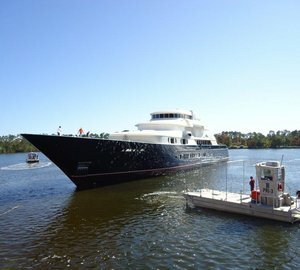 Please contact CharterWorld - the luxury yacht charter specialist - for more on superyacht news item "New sternwheeler named Queen of the Mississippi by American Cruise Lines".